Kelkay Water Feature 2 String White LED Lighting Kit includes two low voltage & safe submersible lights ideal for resin or stone water fountains or features. Each string includes 4 ultra bright light L.E.D. ring with weatherproof screw cap adapters, for 20'000 hours usage before replacement. 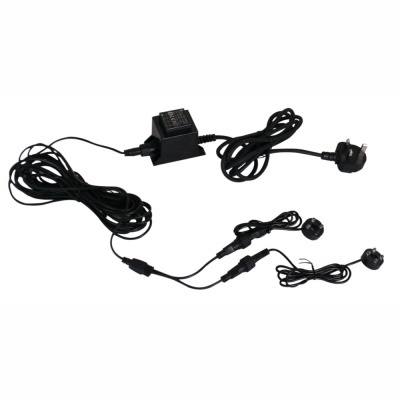 Easy installation with a total of 10m weatherproof cable throughout. 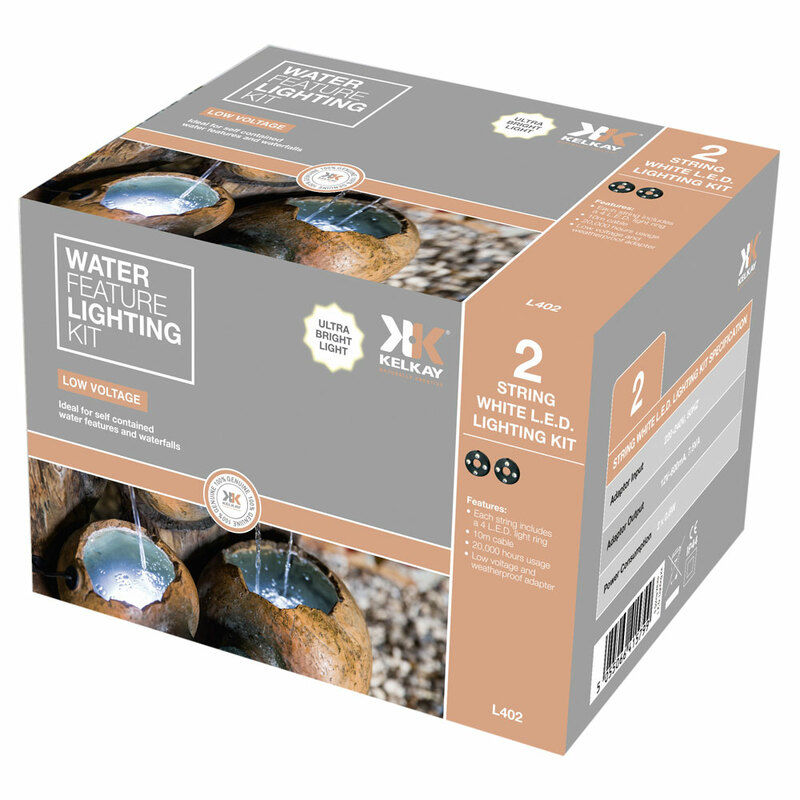 Suitable for adding lighting or light replacement in self contained water features. 100% Genuine Kelkay manufactured.